The secondary seal is a wellhead component that provides a means to isolate and seal a casing string. These seals are installed in the bottom prep of a casing spool or tubing head with a BG bottom prep. They enable you to test the primary seal (casing hanger), ring gasket, and associated lock-down pins via test ports located on the lowermost flange of the wellhead. UWS secondary seals are available in all standard API casing sizes. O-rings; we use HNBR 85 durometer O-rings as our standard o-ring. O-rings are available in Viton, Aflas, Nitrile and HNBR high & low temp. FS Seals; this seal is designed to seal around rough casing. The seal in 9-5/8” and smaller sizes is rated to 15,000 psi. Our standard FS seal is HNBR 85 durometer. This seal is available in several different materials and for different temperature ratings. 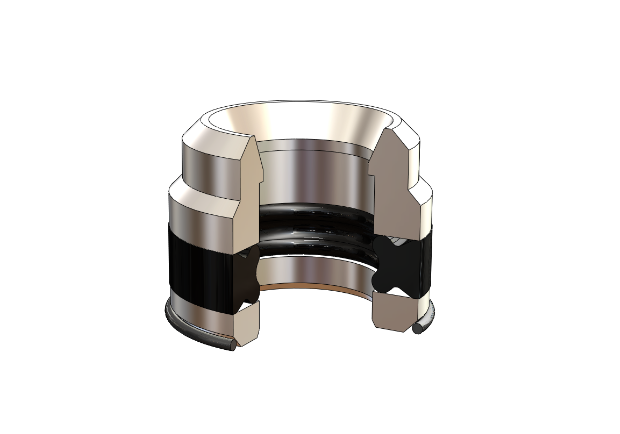 Springsele (S-Seal); this seal is designed to seal the bushing OD against the wellhead body. They are rated at over 15,000 psi and the standard material is HNBR 85 durometer. Different materials and temp ratings are available as needed. P-Seals; this seal is designed to seal against rough casing and requires plastic packing applied under pressure to activate it. The seal is available in several different materials and temp ratings. PE seals: this seal has a rubber element that is approx 2” thick and seals against the casing and the wellhead. This seal is designed for low-pressure general purpose use and is available in limited material and temp ratings. 4-0 bushing; has internal and external o-ring seals to seal on the casing and inside the wellhead. Standard seal for general purpose wellheads up to 10,000 psi. 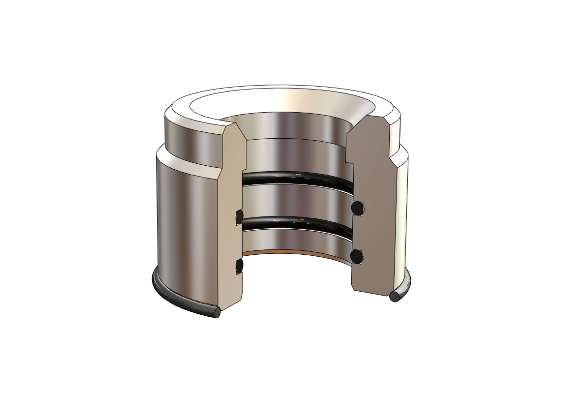 FS-S bushing; has FS seals in the ID to seal around the casing and S-Seals on the OD to seal in the wellhead. This high-pressure seal is rated to 15,000 psi. 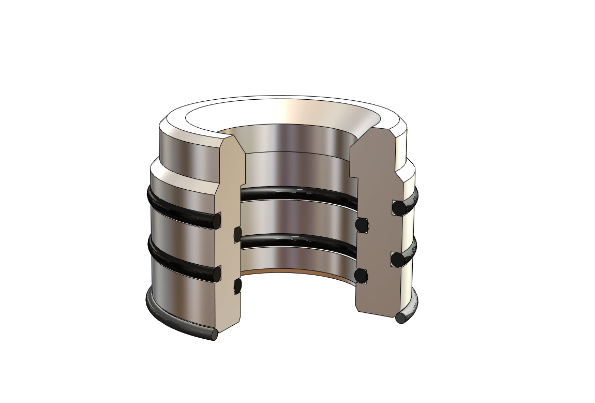 FS-SL bushing; same seal as the FS-S only secured in the wellhead with an ACME threaded lock ring as opposed to a snap ring. 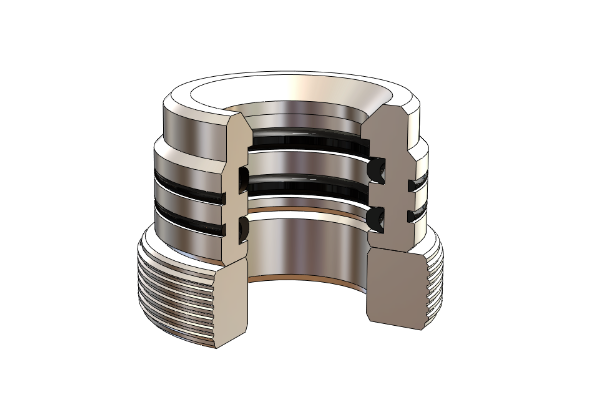 PE seal; 4 piece seal consisting of an upper plate, 2” thick seal element, lower plate, and a snap ring. For low pressure applications only.